There Are Plenty of Reasons to Love Implants! 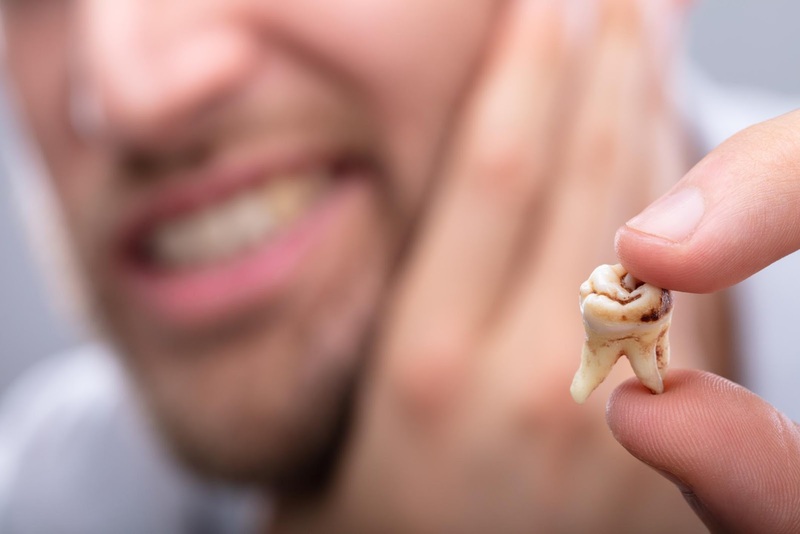 If an adult lost a tooth — or worse yet, teeth — there used to be no permanent solution for replacement. Bridges or dentures were the only way a person could improve his or her smile. While both these options might still be good ones depending on a person’s circumstance, today there is a beautiful and permanent solution that many patients are turning to: implants! Dental implants in Orlando have become increasingly popular, and for some very good reasons. They look, feel, and act like natural teeth and don’t require special care once they’ve become part of your mouth. There are other reasons why implants might make good sense for you, too, so let’s go over a few of them here. Perhaps the main reason why people choose implants over other options is that they’re a permanent solution. Implants are not meant to be removed, which means no more worrying about slippage or loss, as you might with dentures or bridges. Each dental implant is made up of a small titanium post imbedded into the jawline of a patient. It stands in place of a missing tooth and acts as an anchor for a prosthesis, like a crown. Multiple implants along the jawline can permanently hold bridges and dentures in place, which means implants can replace one tooth or an entire mouthful of them. The end result is a beautiful, healthy smile showcasing teeth that look, feel, and function like the ones you were born with. Dental implants in Orlando work to improve a patient’s smile in one of two ways: implants that are surgically embedded into the jawbone of a patient and sit below the gum line are called endosteal implants. This implant is the most common type. Other implants sit above the gum line and are called subperiosteal implants. This second type is an option for patients with shallow jawbones or who can’t wear conventional dentures. Either way, should you decide on implants to improve you smile, our team will conduct a thorough evaluation to make sure the right implant type is chosen for you and your unique circumstances. Dental Implants in Orlando Are a Beautiful Choice! Dental implants would never be so popular if not for one important benefit: they’re beautiful! When you replace broken, damaged, diseased, or missing teeth with an implant, you not only take years off the look of your mouth and face, but project a healthy and natural-looking image. Not only that, while your new teeth might look and feel real, remember, they’re artificial — which means they’ll never get cavities and won’t decay. Dental implants are also easy to clean. You won’t need special solutions or pastes to keep them looking good. All you have to do is maintain your good oral hygiene routine to make sure your mouth stays healthy and your implants stay sparkling. Dental implants in Orlando are a great way to improve your smile. If you’d like to learn more about this permanent solution to tooth loss, contact us today! Orlando Dental Implants and Other Procedures Can Beautify Your Smile! If you’ve been unhappy with your smile, if you’ve been suffering from oral health issues that keep you from smiling, and if you’re ready to turn that smile into something you’re proud of through dental implants in Orlando, cosmetic periodontal surgery, or other available procedures, then we are the experts you’ve been looking for! Central Florida Periodontics is a leader in maintaining and creating beautiful, healthy smiles through cutting-edge technology, techniques, and materials. Our treatment plans are thorough but conservative, and we make sure to treat our patients with the respect and understanding they deserve. So, if you want to make some changes to the way you feel about yourself and your smile, keep reading! Let’s take a look at a few ways we can help you. For many patients looking to improve their smiles, dental implants are the answer. Implants function very much like natural teeth, in that they are permanent and are an integrated part of a patient’s jawline. Where teeth are missing, small titanium posts are placed in the patient’s jawbone that then act as anchors for dental prostheses, like bridges, crowns, or dentures. There are two main types of implants — those that are imbedded under the gum line, and those that sit above it — and some patients are better suited for one over the other. It’s important to note that any patient interested in dental implants in Orlando will undergo a complete evaluation by our team to determine what type of implant is best for them. And while dental implants are the popular choice of many individuals, not everyone is a good candidate for them, which is why it’s critical that you choose a knowledgeable periodontist who is an expert at crafting and fitting them! But for those patients who can take advantage of them, implants are a natural-looking and beautiful way to improve their smiles! Sometimes a person’s smile just needs a little help to improve its appearance or make a patient feel more comfortable. When that’s the case, there are a number of options. Cosmetic surgery techniques can improve or alleviate many issues that a patient might have with his or her smile. Gum grafts, for instance, are performed to reduce recession of the gums and can protect tooth roots from decay and eventual tooth loss. Gum reshaping is another technique, and is often used to redefine a patient’s gum line so that teeth look more proportional and thus create a more aesthetically-pleasing smile. Both these procedures require a periodontist or dentist who is trained in their execution and who knows how to implement them to achieve the maximum desired effect. We understand how important it is to have confidence in your smile. Often, it’s the first thing we do when we meet someone, and many times it’s what we remember most about a person. So why trust your smile to anyone but the experts? If you’re ready to make improvements, big or small, to your smile and would like to learn more about Central Florida Periodontics and dental implants in Orlando, contact us today! Meet the Team Behind the Smiles! We know that for many people, going to the dentist is not something they look forward to. For some, dental visits have been physically painful in the past, so they avoid going again until a toothache or other oral health issue forces them. Others don’t think regular visits are particularly important to their overall well-being, and don’t make them a priority. But as one of the leading periodontists in Orlando, we can tell you that making time for regular visits to your dentist is critical to keeping your smile beautiful and contributing to your general health — especially if you’re dealing with more complicated issues like loose teeth or gum disease. Our staff, led by Dr. Jeffrey Sevor, is experienced, understanding, and gentle. Whether you’re eight or eighty, a new patient or long-time friend, we always make sure to listen to you and devise treatment plans that are sensitive to your needs and goals. So, let’s meet the people behind Central Florida Periodontics & Implantology. A beautiful, healthy smile projects self-esteem and helps you feel good about yourself — and nobody knows that better than Jeffrey J. Sevor, DMD. As a leading periodontist in Orlando, Dr. Sevor specializes in the prevention, diagnosis, and treatment of gum disease, and is highly skilled in the latest technologies and techniques. He’s also an expert in the placement of dental implants, with additional expertise in cosmetic periodontal surgery, connective tissue grafting, and crown lengthening. He completed his specialty training at Louisiana State University, is board certified, and shares his expertise with a wide audience, both on the national and international lecture circuit, and through peer-reviewed publications. Dr. Sevor believes that every patient has a right to be treated respectfully, so he makes sure to answer questions thoroughly and honestly — which is why Orlando trusts him to take care of so many smiles. Dr. Sevor can’t maintain and create those healthy smiles alone. He’s aided by a knowledgeable staff that understands the importance of good communication and gentle techniques. David Fernandez del Pino, Dental Hygienist, assists Dr. Sevor with all aspects of periodontal and implant care. Each of his individualized hygiene assessments allows everyone involved in a patient’s care to stay aware of changes or potential problems. David is skilled, kind and always ready to answer questions or address concerns, making sure patients stay as comfortable as possible — in or out of the chair. Linda Jung manages and coordinates the efforts of our entire staff and is available to assist in making your every visit a pleasant experience. She will happily aid you with all scheduling, payment, and insurance needs. Renee’ Swanston and Marie Gonzalez are skilled assistants who are there to help Dr. Sevor with all aspects of procedure and care. They are gentle, knowledgeable, and always willing to do whatever it takes to put a patient at ease. Don’t put off important visits to your dentist! We’re here to make sure your smile stays healthy and beautiful! Contact us today for your appointment and see what a difference our team can make for you! If you’re self-conscious about your smile, there’s no reason not to change things for the better. Dr. Sevor, an Orlando cosmetic periodontist, combines state-of-the-art technology with years of experience to create lasting improvements in his patients’ oral health. 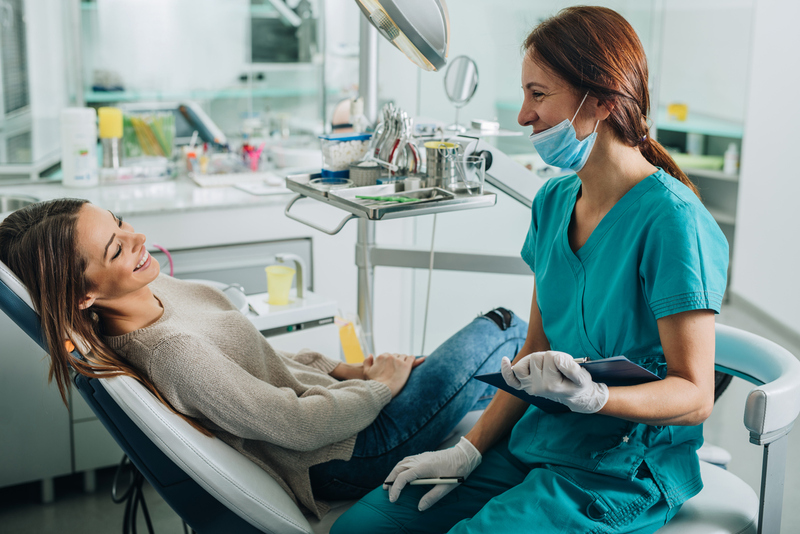 Whether your needs are strictly cosmetic or are linked to problems like gum disease, Dr. Sevor can design a customized treatment plan that’s right for you. Let’s take a closer look at three procedures that we regularly utilize for our clients! There are many reasons that gums slowly pull away from teeth. Regardless of the cause, the result is the same: teeth are left vulnerable as their support is weakened. Central Florida Periodontics is well-prepared to treat the underlying cause as well as provide cosmetic solutions. Gum grafting is one way to cover vulnerable tooth roots while enhancing the appearance of a patient’s smile. An Orlando cosmetic periodontist surgically attaches donor tissue to the areas experiencing gum recession, providing valuable strength and additional coverage to affected teeth. Some of our patients feel that their natural teeth are too short. Oftentimes, this is actually the result of high gum lines that create the illusion of small teeth. Dr. Sevor, an Orlando cosmetic periodontist, offers the crown lengthening surgical procedure at Central Florida Periodontics. During surgery, excess bone and gum tissue is reshaped to expose more of a patient’s natural tooth – creating the appearance of longer teeth. If you’ve considered alternatives like veneers, you might find that crown lengthening allows you to experience a great result without the need for prosthetics. Having crooked teeth can cause many people to be self-conscious about their smile. There are various reasons that our patients need bite adjustment. Some of them had braces as a child and stopped wearing their retainer, others found themselves with crowded teeth once their wisdom teeth grew in, and still others were simply born with crooked teeth. 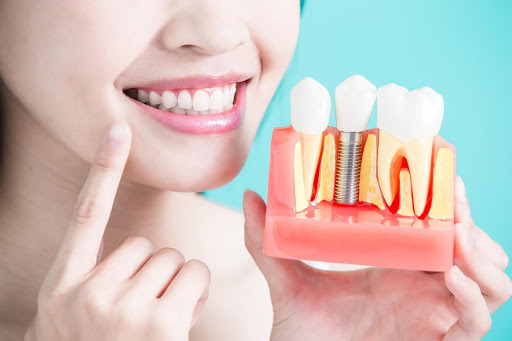 Whatever the reason, Central Florida Periodontics offers a number of bite adjustment procedures. 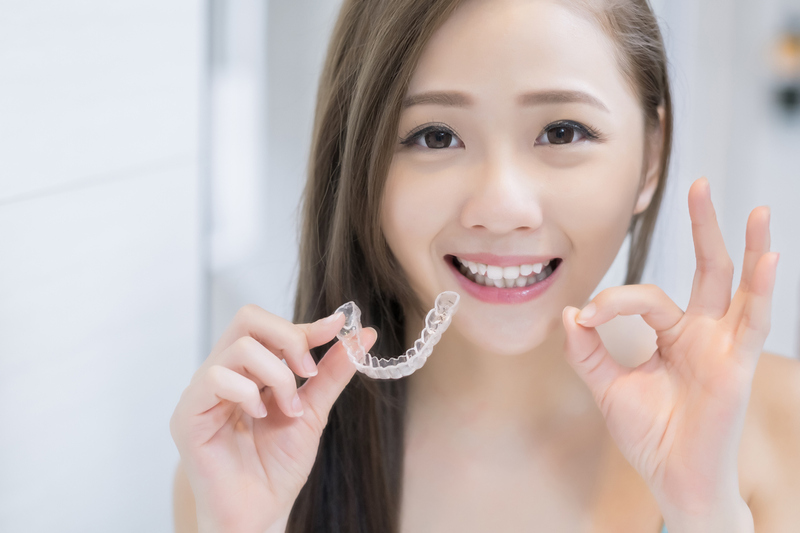 Some of our patients benefit from tooth reshaping, in which the surfaces of teeth are reshaped in order to evenly distribute bite pressure. Other patients are good candidates for braces, which align teeth into a straighter formation over time. When you make an appointment with our experienced Orlando cosmetic periodontist, he can recommend the treatment plan that’s just right for you. Keep in mind, bite adjustment isn’t just a cosmetic procedure. For many patients, treatments like braces and reshaping can greatly reduce their risk for gum disease. Misaligned teeth create plenty of opportunity for bacteria to flourish in hard-to-brush places. However, the end result of straighter, properly aligned teeth certainly inspires confidence among our patients! These are just three of the cosmetic procedures we offer at Central Florida Periodontics. Make an appointment today to learn more about how our Orlando cosmetic periodontist can help you smile with confidence! If you’ve been researching providers for periodontics in Orlando, look no further than Central Florida Periodontics. Our experts can help to alleviate a wide range of oral health problems, from periodontal disease to misaligned teeth, and can restore the luster to your smile. A little bit of regular care can go a long way when it comes to maintaining your oral health. 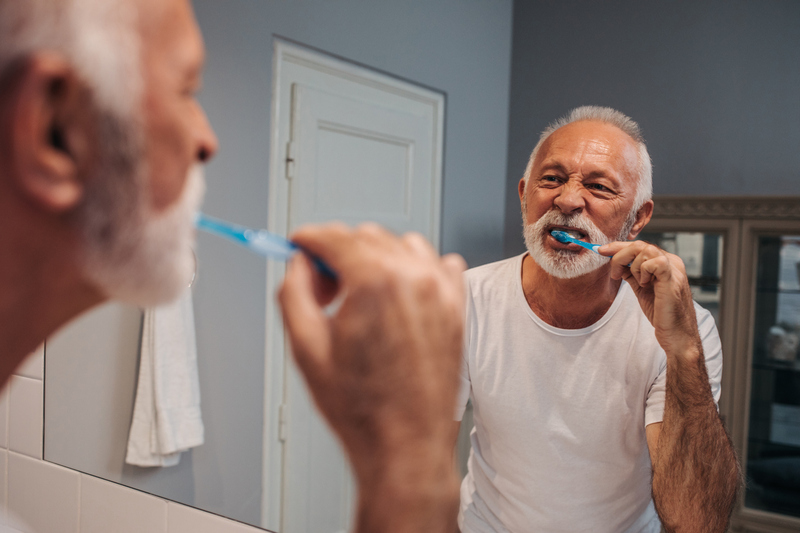 In fact, many of the problems we see among our patients could have been prevented if they had known about and practiced a few basic oral hygiene tips! Here are a few pointers to maximize your oral health. Brushing twice a day and flossing daily are simple practices that can greatly improve and prolong your smile. Your mouth is home to lots of bacteria and acids that can wreak havoc on your enamel and your gums. Plaque, a breeding ground for bacteria, builds up on the teeth when they’re not brushed regularly. Furthermore, bacteria and buildup between your teeth can be especially damaging and can only be removed by flossing. Neglecting to brush and floss can lead to cavities and gum disease – problems that can be costly and inconvenient to treat. When it comes to damaged smiles, sugar is another major culprit. Sugar is found in many processed foods, even those that don’t taste sweet. It easily erodes tooth enamel, leading to cavities. The best way to prevent sugar from affecting your oral health is to rinse your mouth after eating, especially after eating anything sweet. Similarly, the acids in diet soda are also harmful to tooth enamel. Even if you’ve just enjoyed a diet drink, rinse your mouth! Keeping these substances from sitting on your teeth any longer than necessary is a simple oral hygiene tip that can yield great benefits. Opting to rinse with a mouthwash is an especially effective way to eliminate sugar and acid from your teeth. Even by practicing great oral care at home, there are many benefits of a professional cleaning that you can’t achieve on your own. Central Florida Periodontics employs a staff of gentle and caring professionals who make cleanings simple. They can provide you with professional products and services that ensure a thorough job is done, and they can check for any signs of developing problems like cavities. Of course, if you are already dealing with problems with your teeth or gums, we can help address a wide range of issues. 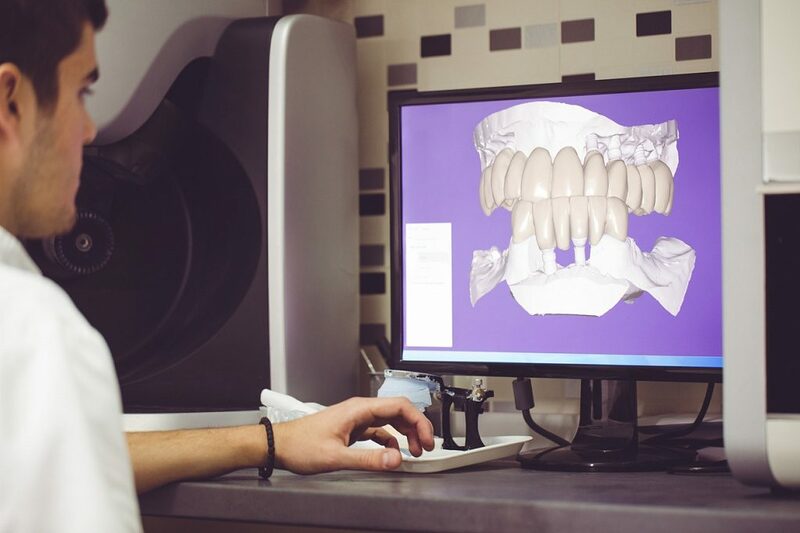 Our staff is well trained in the latest and greatest when it comes to innovative technologies and procedures – you’ll be amazed at the improvement we can make to your smile! Come in for a visit twice a year to ensure your mouth stays healthy! These are just a few oral hygiene tips you can practice regularly to ensure your mouth stays looking and feeling great. To learn more strategies that are just right for you and your teeth, set up an appointment to visit our office today! As you research Orlando periodontics providers, one important consideration should be their dedication to keeping up-to-date on the latest technology. Having access to new dental innovations helps periodontists treat more conditions, offer less invasive treatments, and, oftentimes, keep patient costs to a minimum. In our field, new research is always coming forth that shows us more efficient and effective ways to care for our patients. Dr. Sevor at Central Florida Periodontics understands this and is committed to offering his patients quality care that’s informed by his expertise and ongoing scholarship in the periodontics field. Let’s take a closer look at some of the technologies we utilize in our office. Dental implants are a great alternative to false teeth – they look and perform just like the natural ones! Oftentimes, they are surgically implanted into a patient’s jawbone to mimic natural tooth roots. These implants allow patients to live confidently, enjoying the benefit of strong artificial teeth. We carefully screen each of our eligible patients to ensure that they’d be a good candidate for this procedure. Dr. Sevor is an expert in dental implants – in fact, he’s actually published research on how they can most effectively be utilized! You’d be hard-pressed to find another Orlando periodontics specialist with his level of expertise. For patients with serious periodontal disease, surgery has always been a viable option. However, traditional surgery can be painful and invasive as it involves cutting and stitching the gums. Lasers allow us to target the diseased gum tissue much more accurately, meaning the procedure will disturb a lot less healthy tissue. The surgery uses laser technology to assist in the closure of “pockets” (spaces between the gums and teeth where bacteria collects). Healing time is expedited, and no stitches are required! If you’re suffering from periodontal disease, Central Florida Periodontics offers cutting-edge laser surgery that could greatly improve your oral health. We realize that a trip to the periodontist isn’t everyone’s idea of a good time, so we offer numerous forms of sedation to help our clients manage the stress of their procedures. While many Orlando periodontics providers will only offer nitrous oxide, we also offer conscious IV sedation. We work with a licensed anesthesiologist to ensure that our patients are comfortable and safe throughout their procedure. If you’re in need of periodontal treatments, don’t let your fear of the dentist keep you from getting the care you need! Central Florida Periodontics will work with you to make your visit as stress-free as possible. In addition to Dr. Sevor, Central Florida Periodontics is home to a number of qualified and compassionate care providers. Our staff are highly educated, experienced, and experts in periodontics. They are all well-trained in the technologies we utilize in our office and are there to make your treatment as effective and pleasant as possible. For great Orlando periodontics care that’s informed by the latest research and technology, look no further than Central Florida Periodontics! Visit us online today to schedule an appointment. We know you want your smile to look your best, and there’s no reason why it shouldn’t. 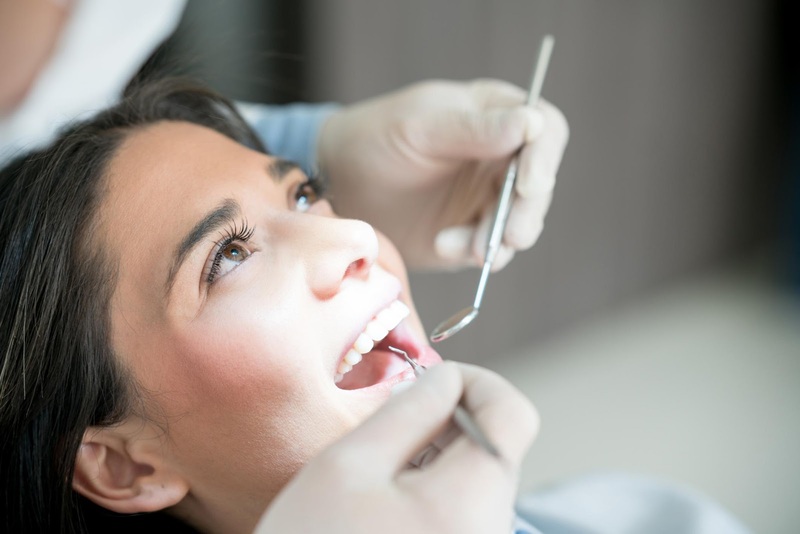 Most new patients for cosmetic periodontal procedures in Orlando don’t actually know what it entails, and in some cases that prevents them from taking the next step and booking a much-needed appointment. 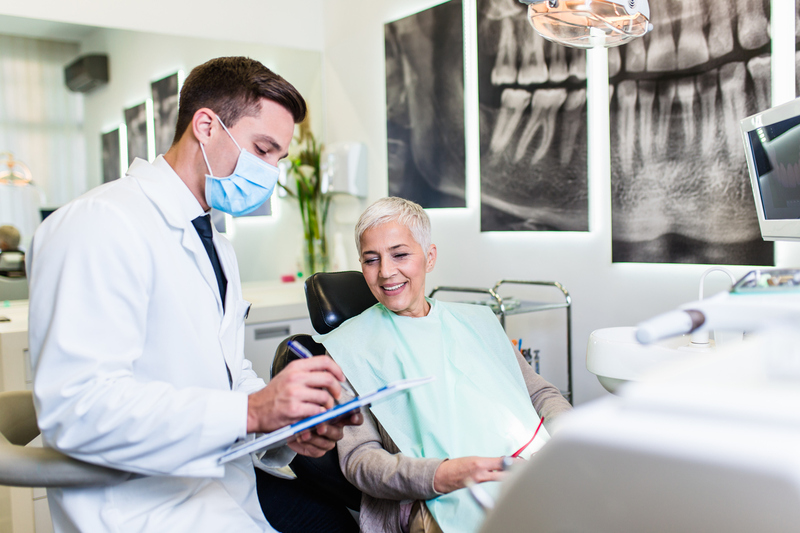 It’s important to us that our patients understand the procedures we offer at Central Florida Periodontics, as well as our various treatment methods. Here are a few of our most popular services, which go a long way toward giving you the smile you’ve always wanted. Laser periodontal therapy is used primarily to treat varying stages of gum disease, which in turn will improve your overall oral health. Laser gum surgery is particularly popular because it causes less bleeding and pain during and after the procedure. Laser technology also makes the procedure smoother for periodontists, as it allows them to isolate the removal of diseased and unhealthy tissue, and maintain the height of the gums around the teeth with greater ease. For patients who have experienced atrophy or deterioration of the jawbone, bone grafting is the perfect solution. Grafting allows the periodontist to create a suitable jawbone width and length that can accommodate dental implants, in addition to looking aesthetically pleasing. The procedure involves obtaining donor bone from a tissue bank, the patient’s own body, or synthetic bone material, for use as a graft. Bone grafting also helps dental implants look better, last longer, and require less maintenance in the long term. Dental implants are mainly sought by patients with missing teeth. The process, which involves receiving implants and attaching prosthetics, typically takes around six to eight months, and requires a total of two surgical procedures. First, the implants are placed into the jawbone. The second procedure is geared toward maintenance, and requires the patient to wear temporary dentures and maintain a strict diet of soft foods. For patients who need a bite adjustment, several periodontal procedures can be used. An abnormal bite can do significant damage to the teeth or jaws, and we specialize in helping patients return to a safe, healthy bite. Tooth Reshaping involves reshaping the surfaces of the teeth that make abnormal contact when biting. It reduces excessive bite pressure on the teeth, and redistributes that pressure across all teeth to minimize the risk of damage. These are plastic bite guards customized to suit each patient’s mouth, and keep their teeth apart. A simple and painless method of realigning a patient’s bite, they can be used both day and night. Braces are the most widely known periodontal treatment for bite adjustment. Usually metal or ceramic brackets that bond to the surface of the teeth, they are tightened using wire, and correct the position of the teeth through physical pressure. To take advantage of our premier cosmetic periodontal procedures in Orlando, contact Central Florida Periodontics & Implantology today. Our staff will be happy to assist you and answer any questions you may have. 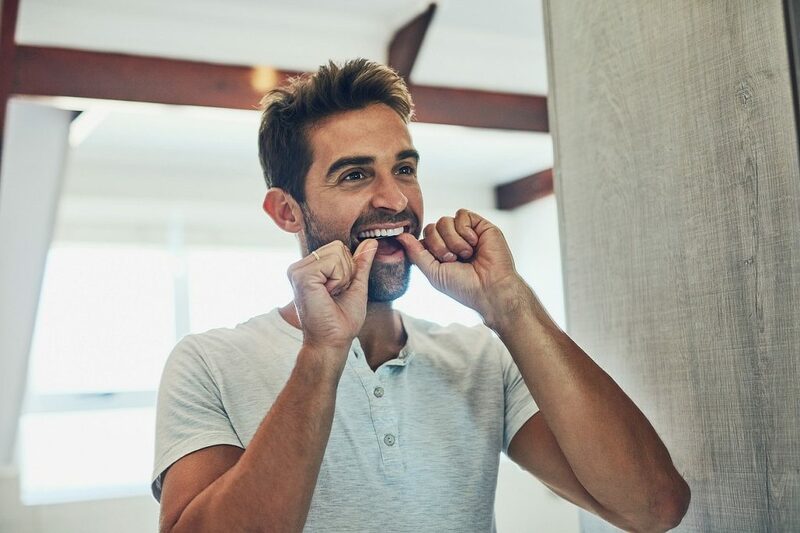 Gum health is extremely important to your overall health, and when your gums are in distress, there are serious consequences for the rest of your body. Gum disease afflicts nearly half of Americans 30 and over, and once the disease advances, oral bacteria enters your bloodstream and can lead to cardiovascular and respiratory issues. The good news is that many forms of gum disease can easily be treated, if caught early enough. It’s important to know what signs to look for, and to schedule an appointment for periodontal treatment in Orlando as soon as possible. The gums and bones around your teeth are meant to hold them in place. When you have periodontal disease, these gums and bones can weaken. The result? Loose teeth, and eventually the complete loss of the tooth. Bad breath is the result of multiple causes, but bacteria in and around your teeth is the main cause of odor. To discover if gum disease is causing your bad breath, visit a periodontal specialist sooner rather than later. Healthy gums should be firm, pinkish, and should not bleed easily. Sore or inflamed gums are often one of the earliest signs of periodontal disease and should be taken seriously. Receding gums can be tricky to notice, as it’s generally a slow process that happens over time. One key indicator of receding gums is that your teeth look longer than they did previously. To be safe, make sure to get your gums checked out. Receding gums cause the roots of your teeth to become exposed. The roots do not have a protective enamel coating on them like the rest of your teeth, so they’re particularly sensitive to hot or cold liquids and foods. Preexisting conditions like diabetes and pregnancy can vastly increase your risk of gum disease. Tobacco users should take extra precautions to fight gum disease, including regular periodontist appointments. Even if you’re not currently experiencing one of the above symptoms, if you’re a tobacco user or have another preexisting condition, you’ll want to be particularly vigilant. If you’ve never seen a periodontist before, now might be a good time to seek periodontal treatment in Orlando. If you’re exhibiting one or more symptoms, and suspect you may have gum disease, our friendly and professional team at Central Florida Periodontics & Implantology is happy to help. Fill out our online form, and we’ll be in touch soon.